I am sorry for what I have done to my self. I wasn’t thinking the night I smoked myself out. Colorado mom. Marijuana was my son’s gateway drug. This Colorado mom lost her son, Matt, to an accidental overdose and marijuana was her son’s gateway drug. Matt agreed about a week before his death that marijuana was his gateway drug. Also listen the the other harms legalizing marijuana has caused Colorado. More crime, more cartels, more homelessness, and more drugs. Colorado mom says “Wake Up!” Don’t legalize marijuana, it almost killed my son. Another Colorado mom shares the harmful effects of marijuana. Marijuana lead to her son being suicidal and psychotic. They say marijuana doesn’t kill anyone. We wish that were true. Marijuana effects led to my son’s psychotic breaks and death. Marijuana can cause psychosis and result in suicide. Lori Robinson is the founder of Moms Strong (momsstrong.org). 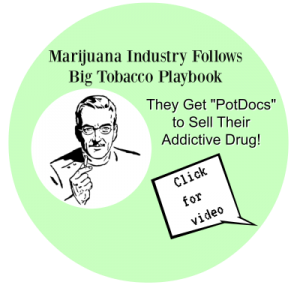 We tell our stories to unmask the marijuana charade. Podcaster Heidi Swan Q&A with Dr. Christine Miller, psychosis researcher and Lori Robinson whose son experienced psychosis from cannabis use. THC products on the young brain; does it really raise the risk for psychotic disorders? Heidi Anderson-Swan: THC products on the young brain; does it really raise the risk for psychotic disorders and suicide in the average person? Ask Dr. Christine Miller, neuroscientist and schizophrenia researcher, and Lori Robinson, founder of Momsstrong.org, whose son experienced cannabis-induced psychotic breaks in his early twenties and ended his own life by age 25.